With Valentines Day right around the corner, we here at TalkingHops have the perfect gift. With 12 specially selected craft beers from around the country, this is the perfect gift for the new beer lover or the seasoned veteran. Discover all styles from Ambers to IPA’s, Porters to Stouts and many more with a monthly shipment straight to your door. 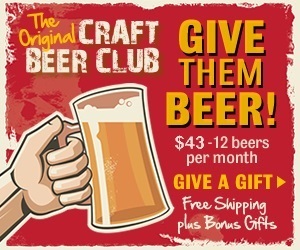 So give your beer drinker the gift that gives every month, sit back and cheers to beers.